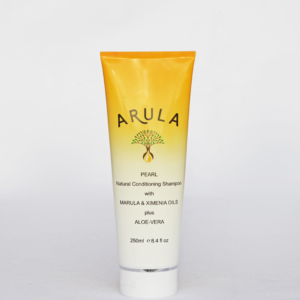 Our Shampoo contains Marula Oil, which is one of nature’s most powerful and natural oil treatments for skin and hair. With its high content of antioxidants, essential fatty acids and vitamin E, it will revitalise your skin, increase your hair’s elasticity and restore shine to dull and lifeless hair. Aqua (Water), Sodium Lauroyl Sarcosinate, Cocamidopropyl Betaine, Sodium Lauryl Sulfoacetate, Caprylyl / Capryl Glucoside, Citric Acid, Polyquaternium-7, Parfum, PEG-120 Methyl Glucose Trioleate, Panthenol, Glycol Distearate, Sodium Benzoate, Sclerocarya Birrea Seed Oil Polyglyceryl-6 (Marula Oil), Potassium Sorbate, Laureth-4. Our Sulphate-Free Shampoo is formulated with over 98% natural ingredients. In addition, our product contain no synthetic dyes and synthetic preservatives. Hence, it will not cause any burning sensation to your eyes like other high street brands. Our shampoo is also beneficial for customers who are experiencing dry scalp condition and hair breakage. This is because, our shampoo is sulphate-free and is enriched with Marula Oil. Methyl Glucose Trioleate is a polyethylene glycol (PEG-120), is a corn derived chemical, used to thickened the formulation. This chemical is considered to be a low hazard chemical and as a result, a safe ingredient in our product. PEG-120 is highly adept at reducing the irritancy of surfactant systems, and is also ideal for formulating cleansing products for babies, children, the elderly and those with sensitive skin. It provides luxurious sensory properties through the formation of a rich, creamy lather and a light, emollient after-feel. Most of our customers prefer their shampoo to have a fragrance. Therefore, our shampoo is delicately fragranced with a mild, fruity and jasmine aroma. The fragrance in our product is considered to be synthetic. Hence, it contain minute quantities of allergens which are: Benzyl Alcohol (0.00004%); d-Limonene (0.00012%); and Linalol (0.000008%). According to the HSE directive, the presence of these allergens must be indicated in the list of ingredients and the product label when their concentration exceeds 0.01% in rinse-off products. Consequently, due to the minute quantities present in our product, it is not required for these allergens to be listed on the label. This leaves my hair feeling very nice. Great product at a great price! The conditioning shampoo smells lovely, has a nice lather and left my hair feeling great! I’d definitely recommend this product. Doesn’t leave the hair and scalp dry. Have been using for a month and hair looks healthier.